In 2019 ‘the churchie’ will again assert its position as one of Australia’s leading emerging art prizes as it moves into an exciting and pivotal new partnership with the Institute of Modern Art (IMA), Brisbane. This partnership gives emerging visual artists in Australia the opportunity to exhibit at an internationally renowned gallery that is committed to contemporary arts practice, experimentation, and cultural diversity. Since its inception at Anglican Church Grammar School in 1987, the Prize has partnered with two highly regarded tertiary institutions in Brisbane, Griffith University Art Museum and more recently QUT Art Museum. The IMA and ‘the churchie’ will continue to identify and profile the next generation of contemporary artists from across Australia. The selected finalists will receive professional curatorial advice, networking and promotional opportunities, along with vital exposure on both a local and national stage. 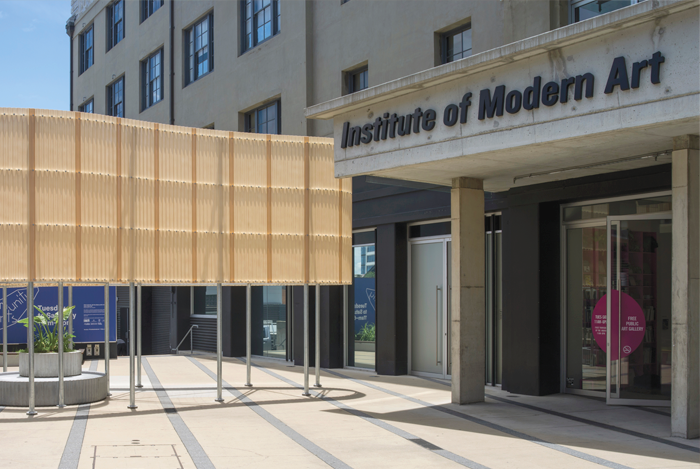 The finalists’ exhibition will be held at the IMA, located at the Judith Wright Centre of Contemporary Arts in Fortitude Valley, from 10–21 September 2019. ‘the churchie’ offers a lucrative total prize pool of $25,000 with the overall winner receiving a non-acquisitive $15,000 cash prize - donated by long time sponsor BSPN Architecture. Each year the prize attracts over 900 individual artworks consisting of all visual art forms – from drawing and painting to performance and conceptual works. Entry to this annual prize is open to artists of all ages (over 18 years) and disciplines who identify as early career and are Australian citizens or residents. Artists may submit up to three art works for consideration, accompanied by an artist CV and a 300-word artist statement. Entries open online 26 May 2019.